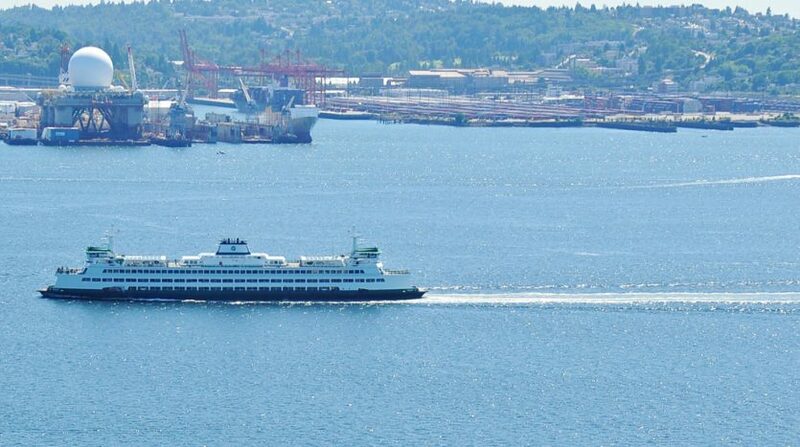 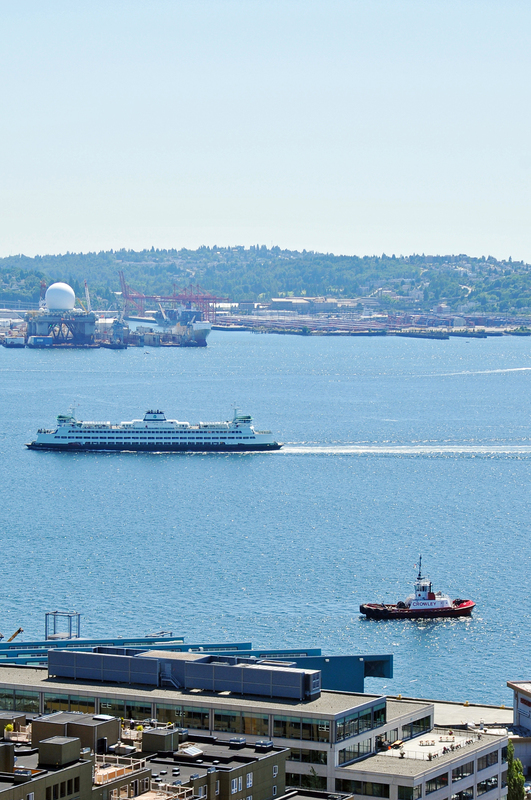 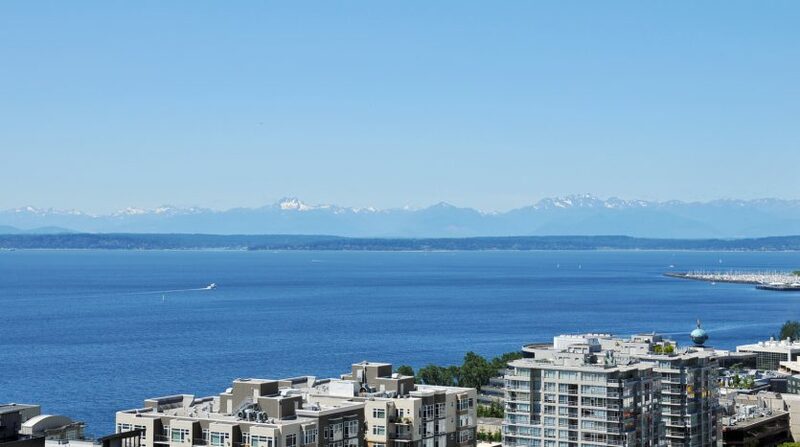 Have you ever dreamed of living in a home with expansive views of the glistening Puget Sound with ferries and boats sailing by, the grand Olympic mountain range, majestic Mount Rainier, sparkling city lights, and the action of the port and stadiums from every room? 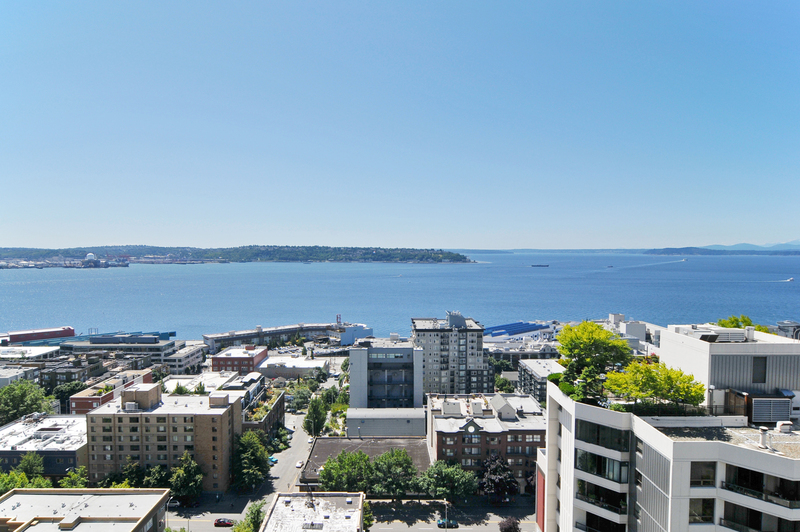 Look no further, Seattle Heights #2302 is it. 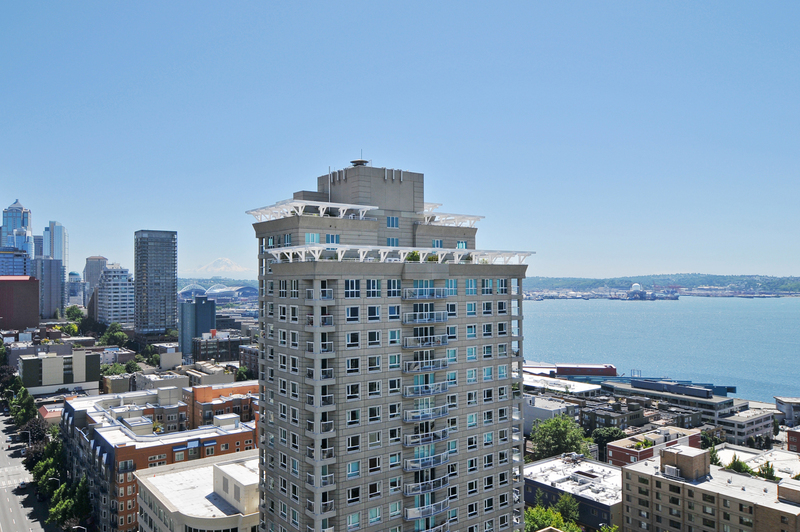 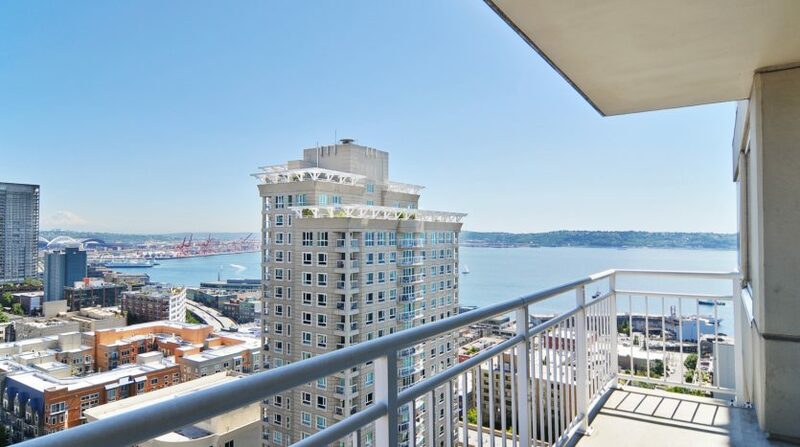 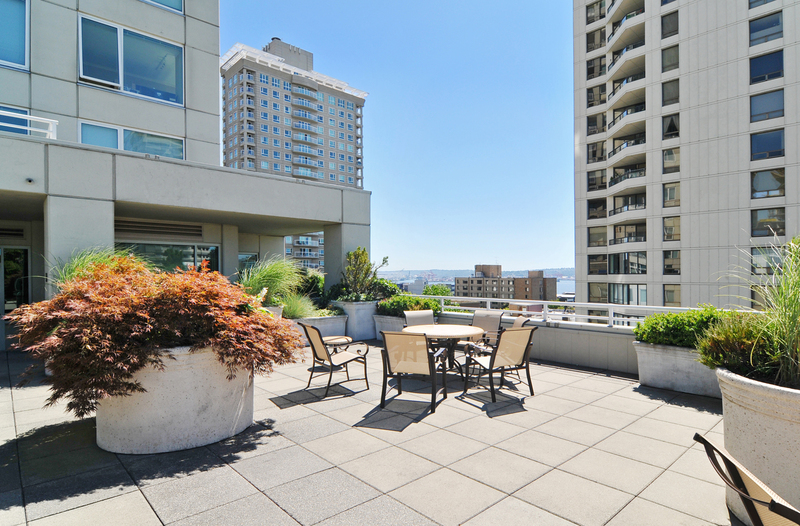 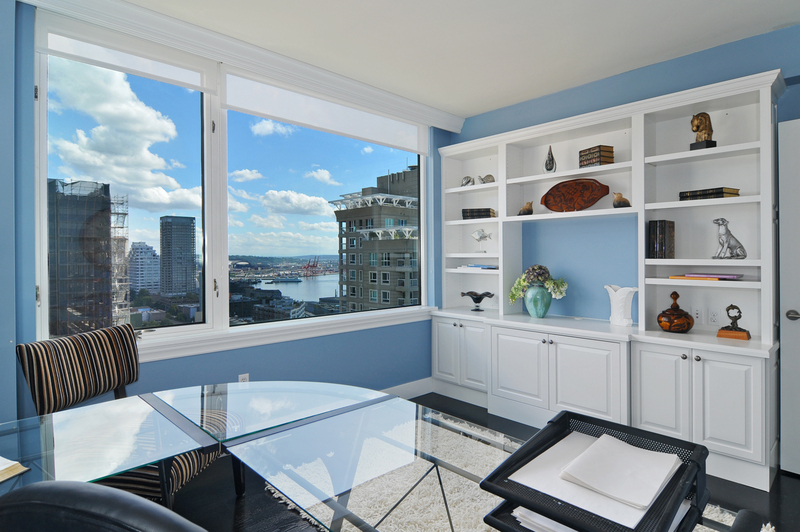 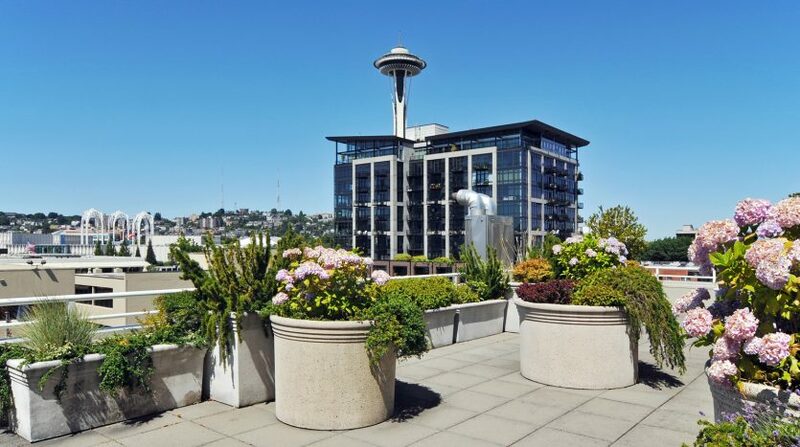 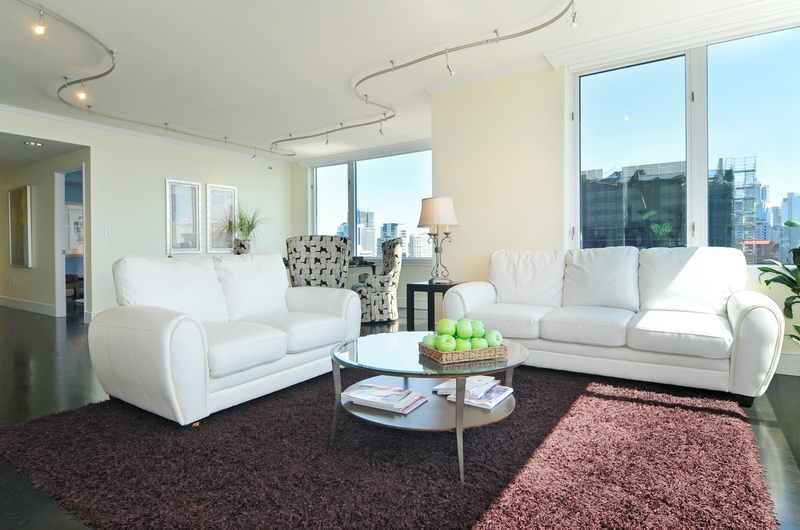 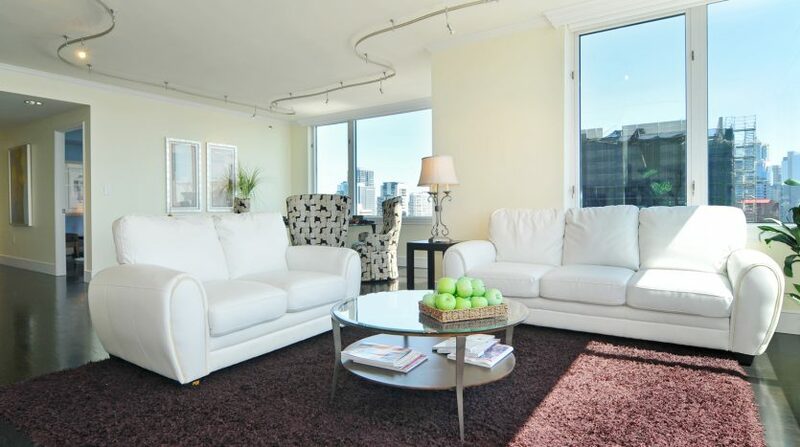 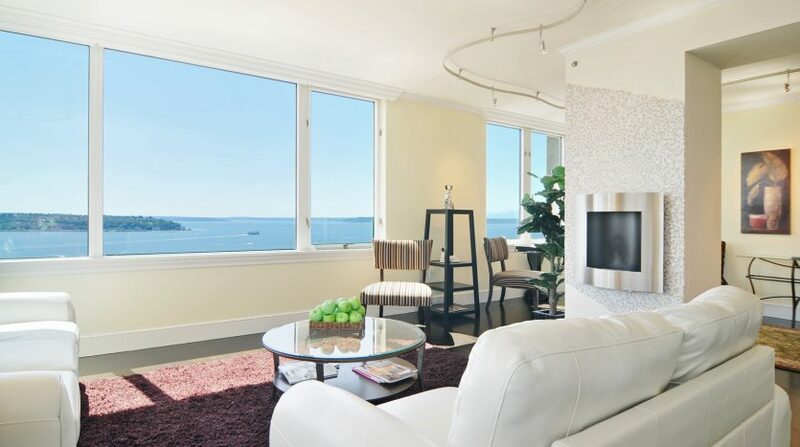 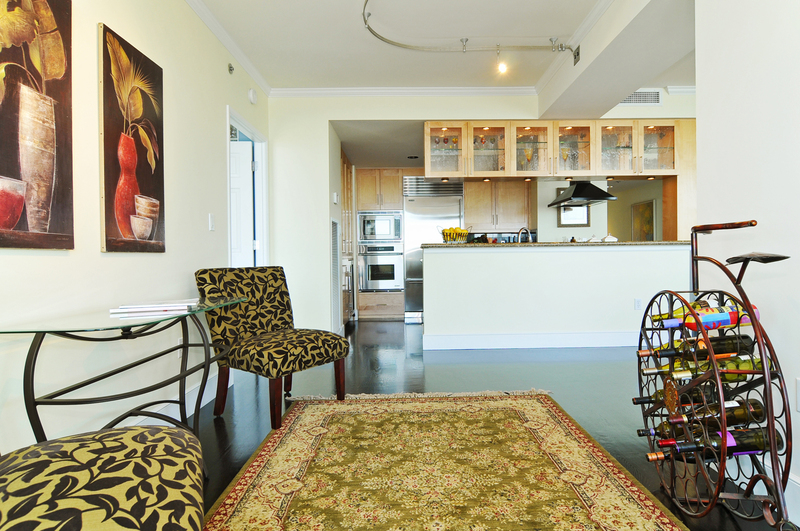 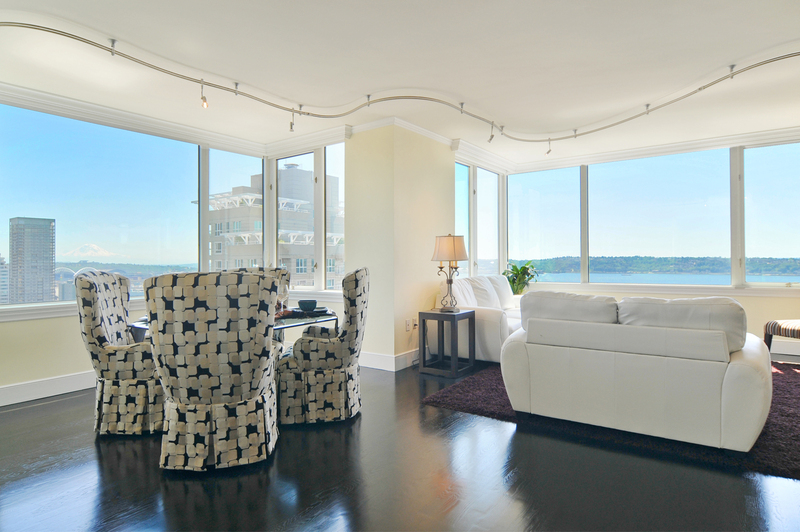 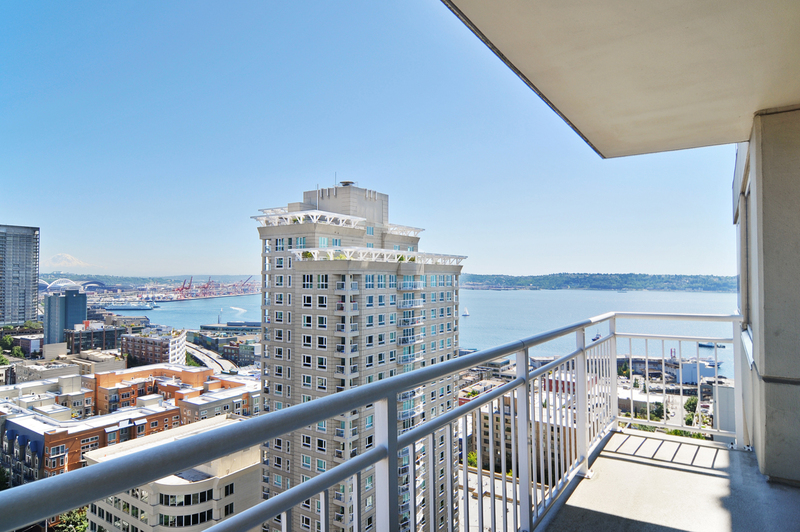 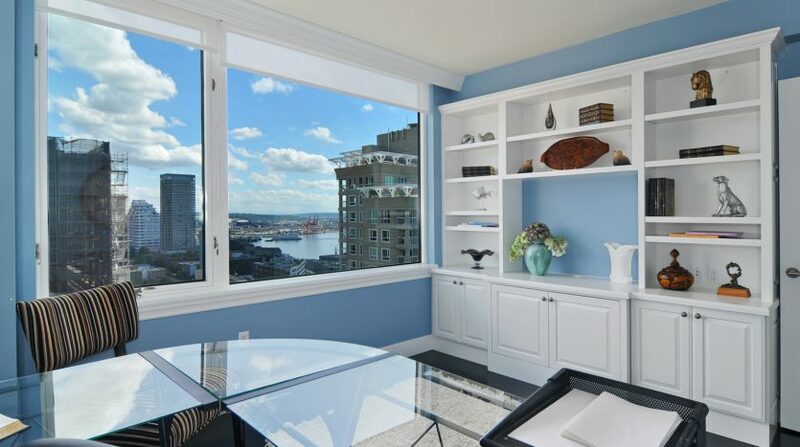 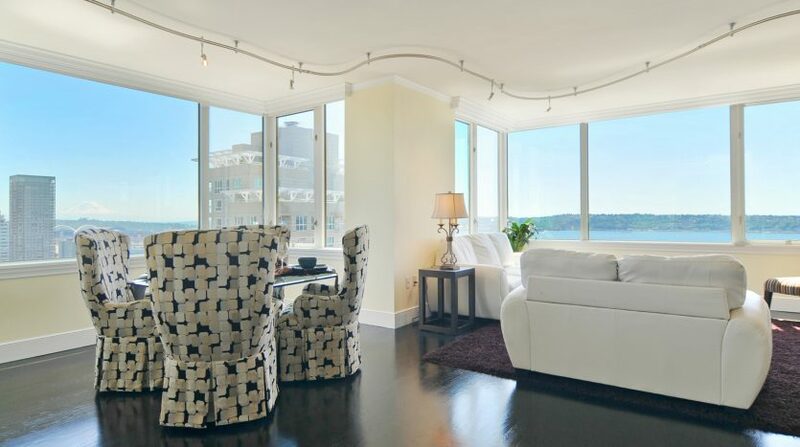 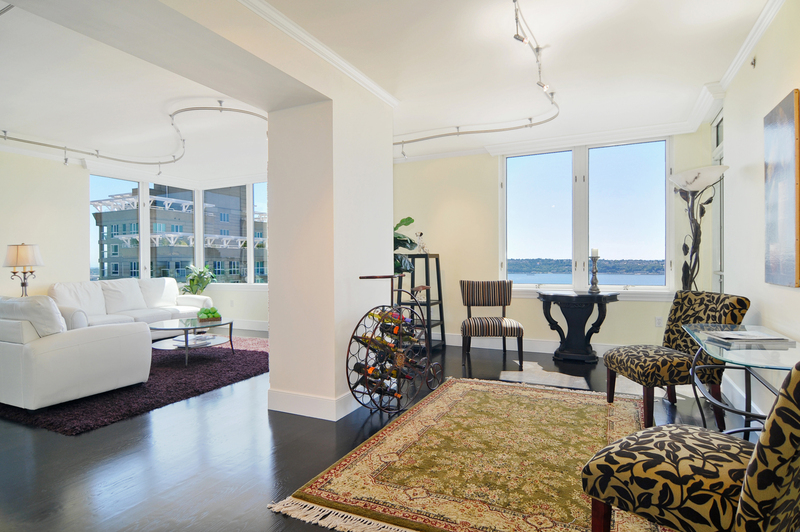 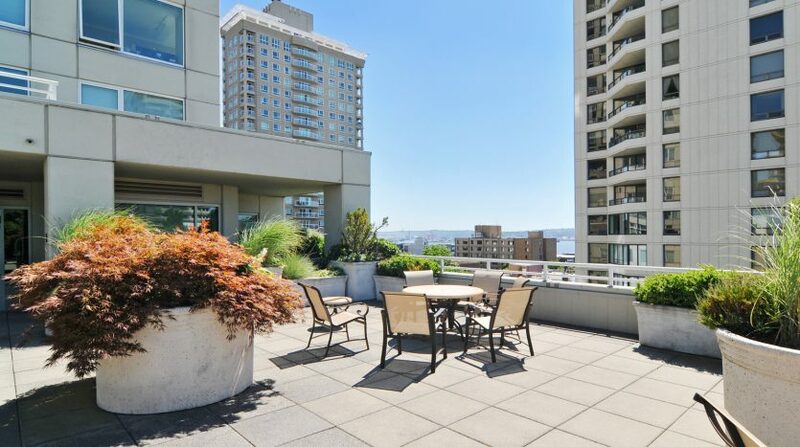 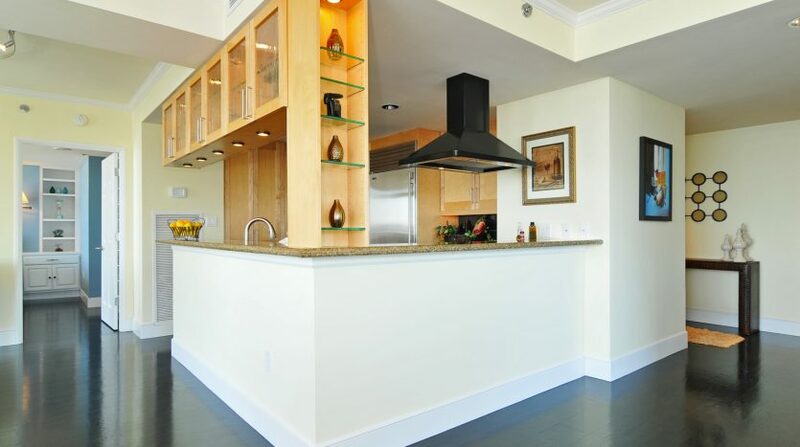 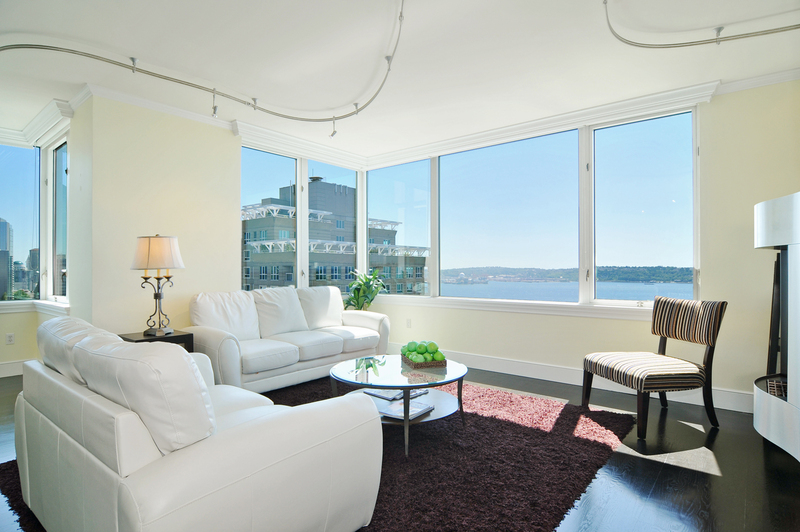 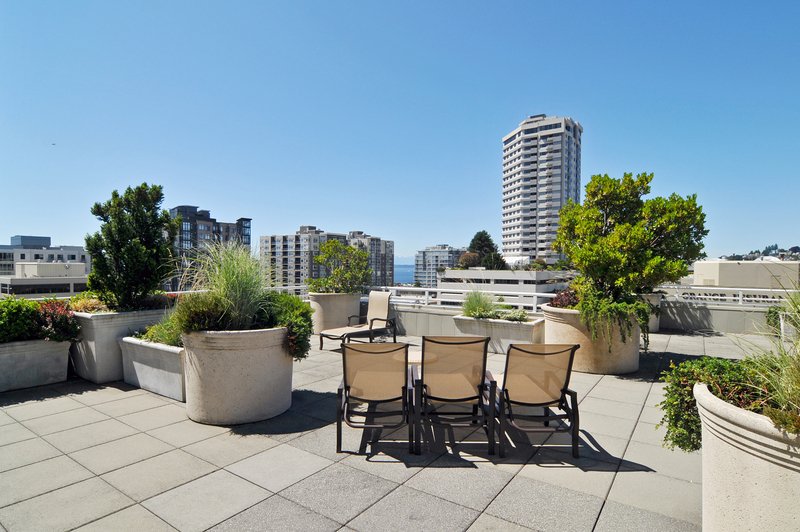 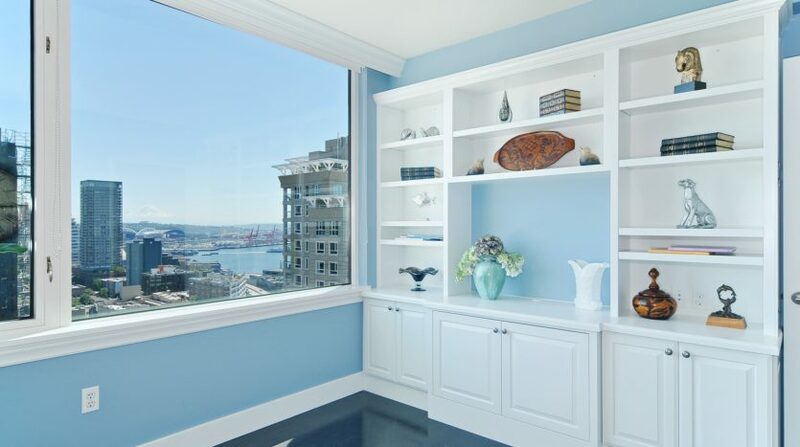 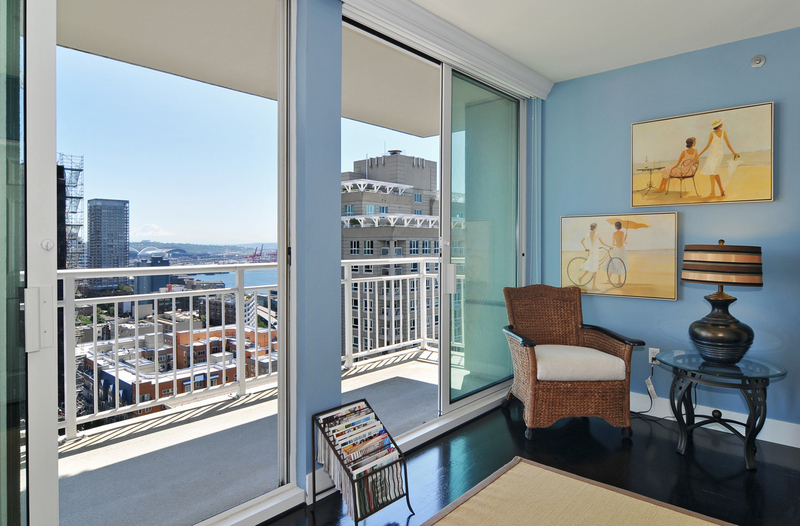 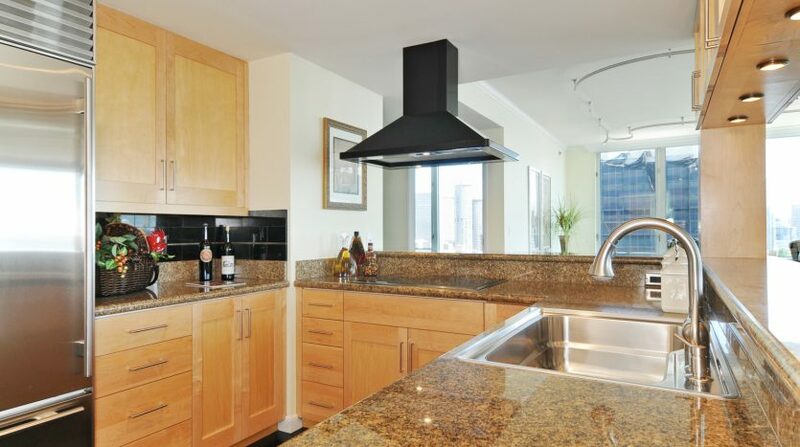 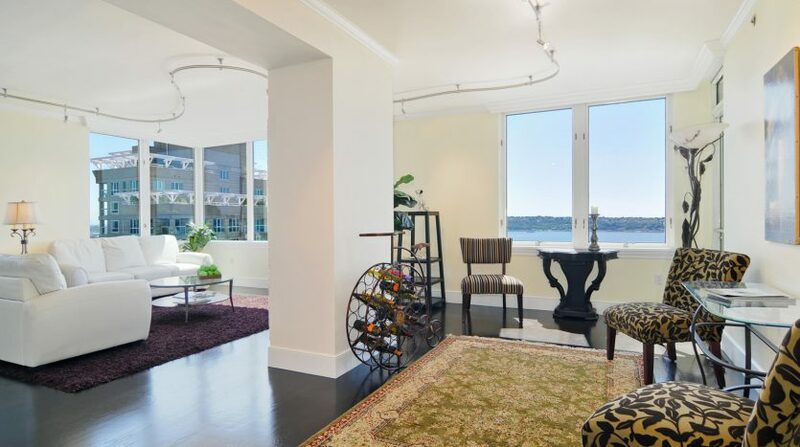 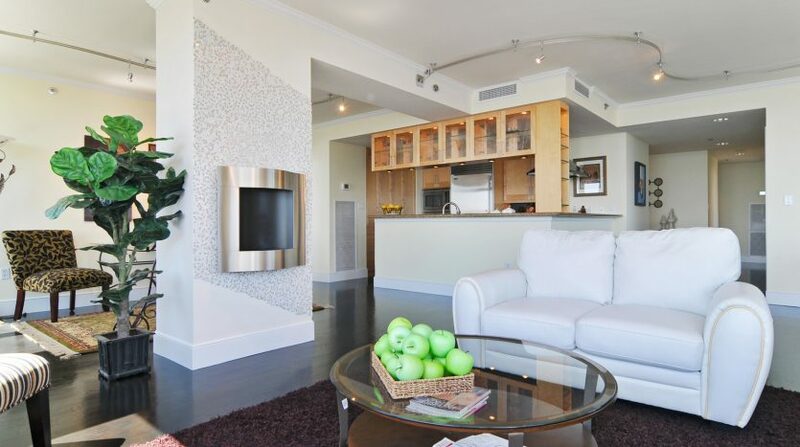 After being whisked up to the 23rd floor of the fabulous Seattle Heights building, you will be one of only 4 home owners on this sub-penthouse level. 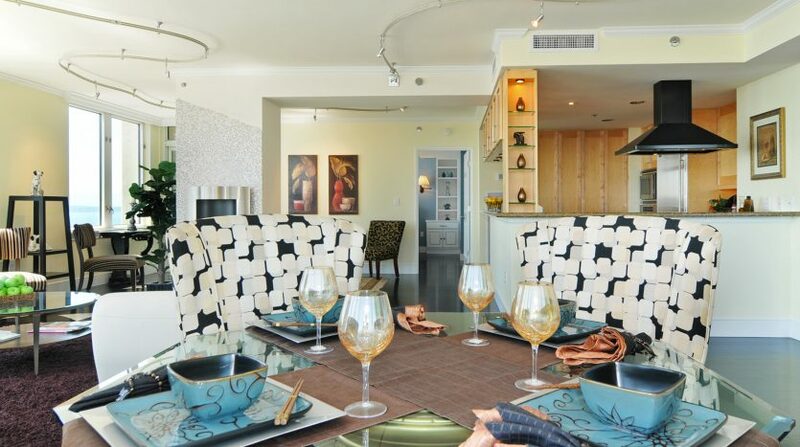 Upon entering, you will glide through the formal foyer entryway with a large and convenient hall closet to the south wing of this 1,699 square foot condo. 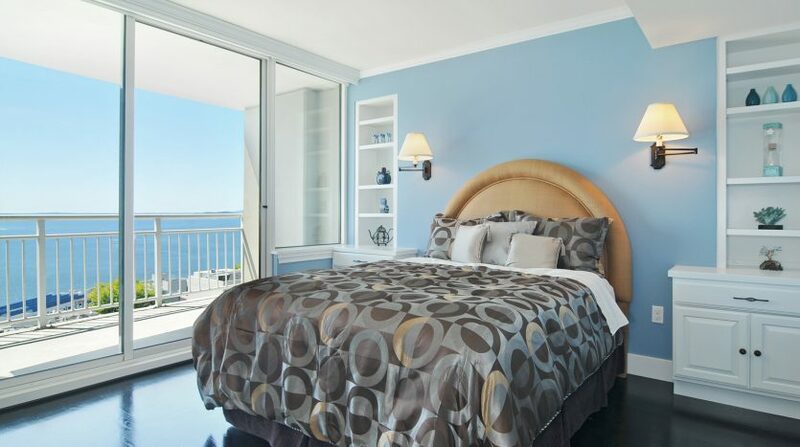 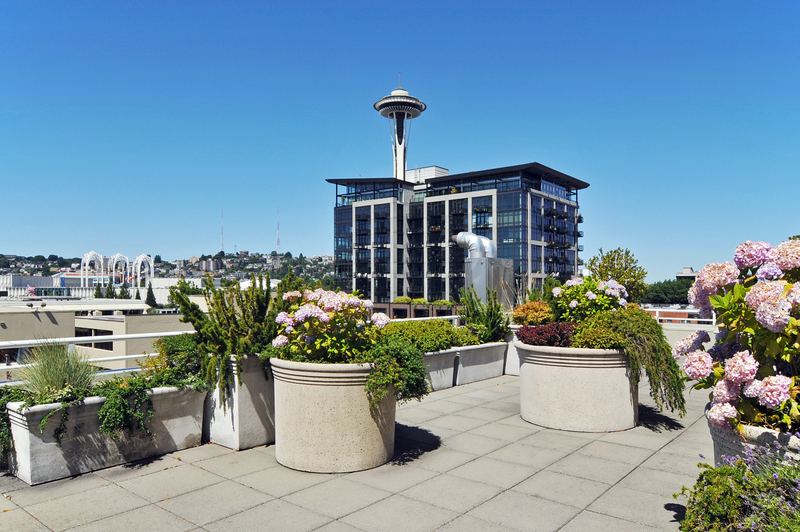 The 2 large bedrooms on the South side have bright City, Sound, Rainier, and water views. 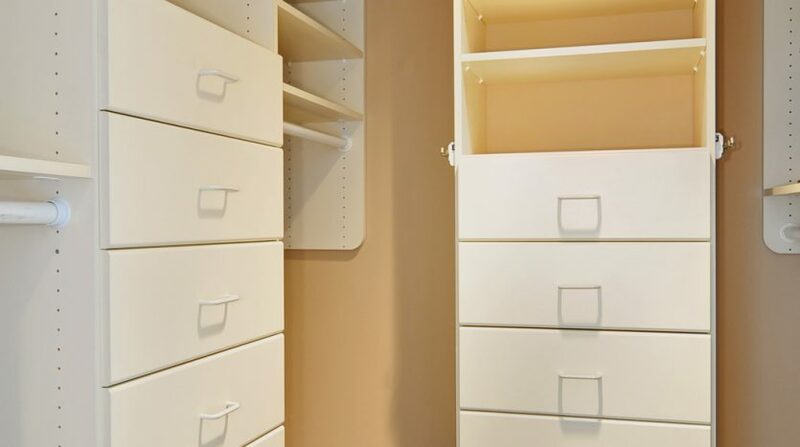 One contains a Murphy bed perfect for overnight visitors or with its desk function, it is also great as an office or crafting space. 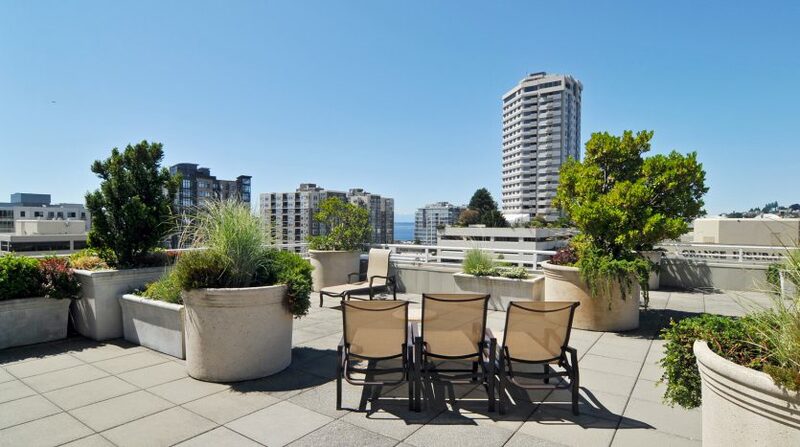 It spills out onto a large deck for soaking up the views. 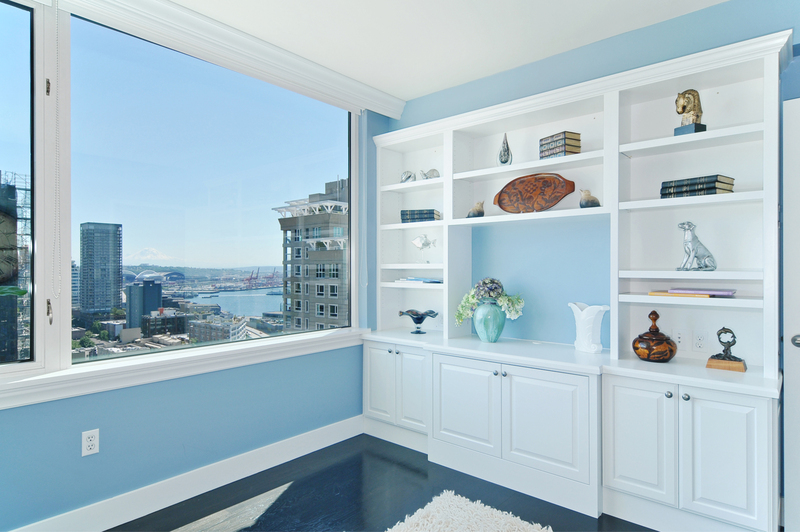 The other bedroom is appointed with a handsome built-in for books or other display. 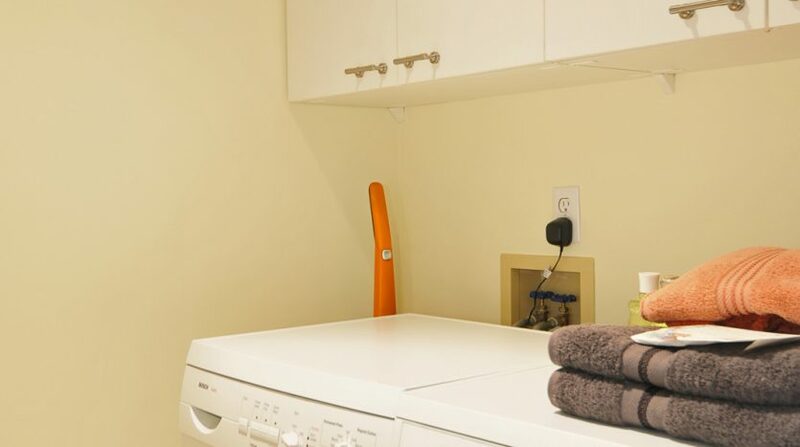 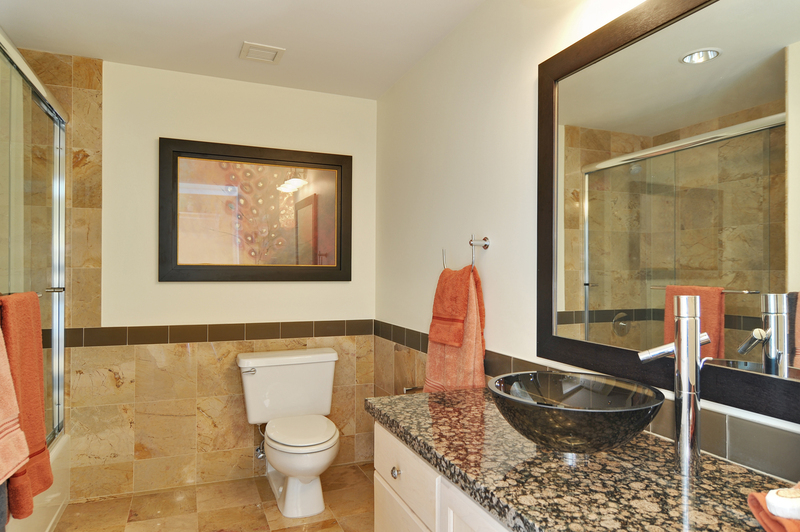 The updated and modern full bathroom will warm your toes in the morning with the heated floors as will the floors in the large utility room. 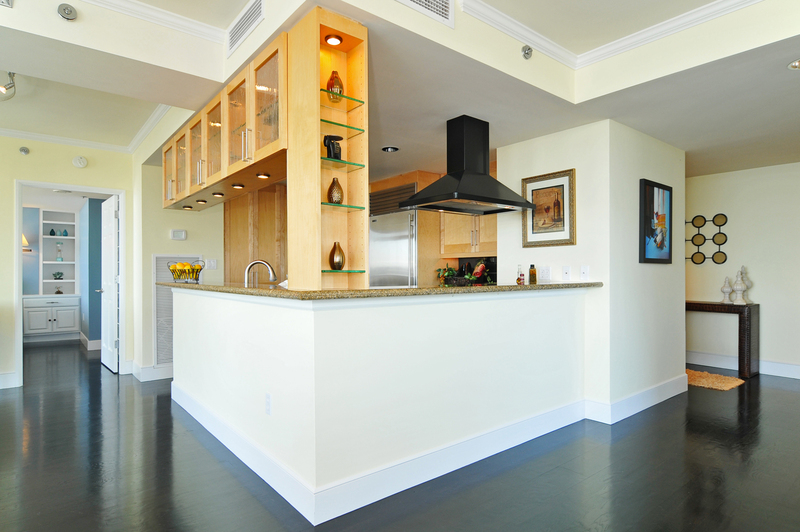 As you move into the West wing, gleaming dark espresso hardwoods carry through the entire home, unifying all of the spaces together. 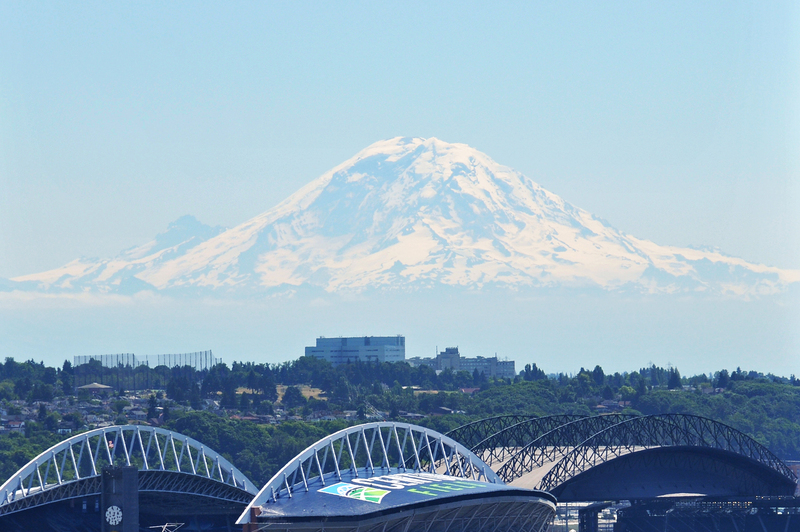 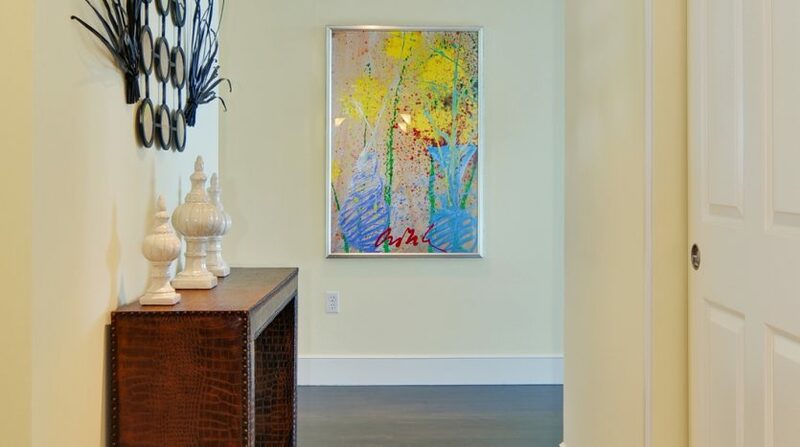 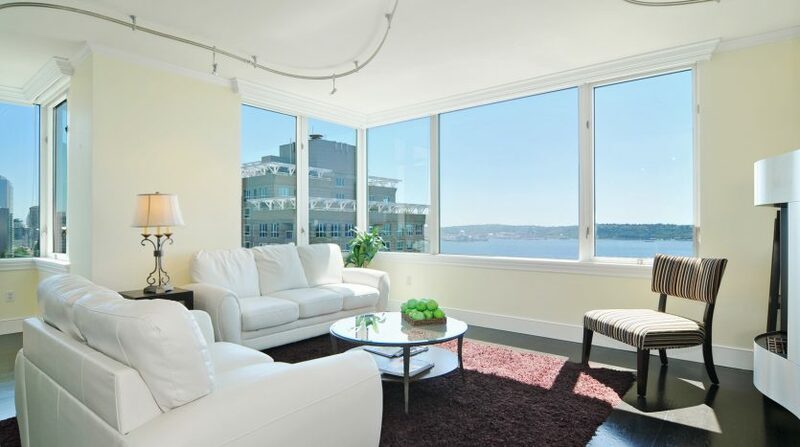 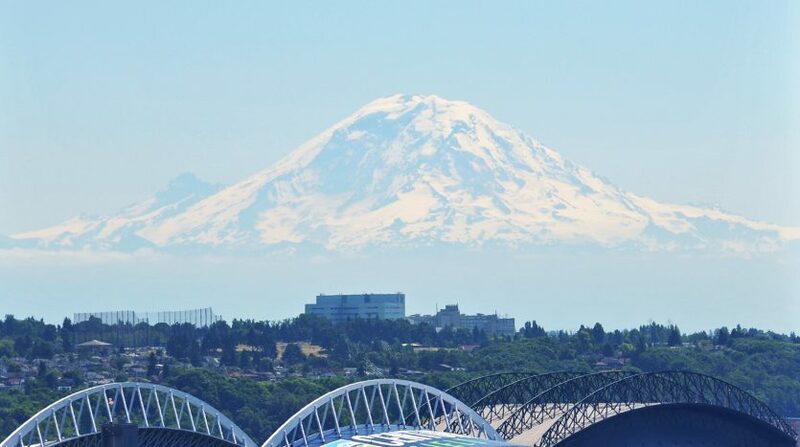 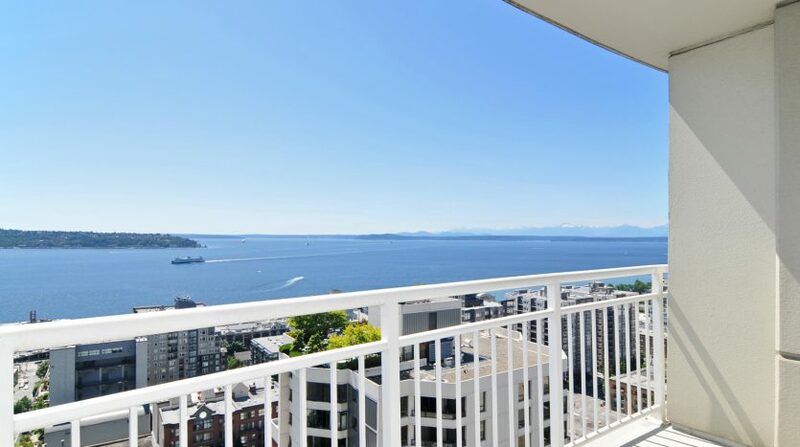 You will flow into the magnificent living space, with panoramic views from the City, by Mount Rainier, over the stadiums and Port, across the expanse of the incredible Puget Sound, out to West Seattle, past the snow capped Olympic Mountains, to Elliott Bay Marina and beyond. 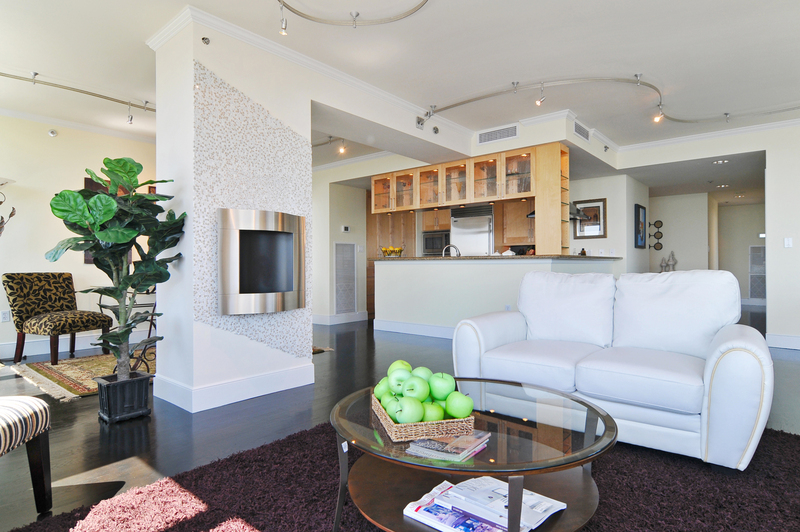 Warmed by a custom ethanol fireplace with unique glass tile surround, the living space is broken up into formal and informal sitting areas. 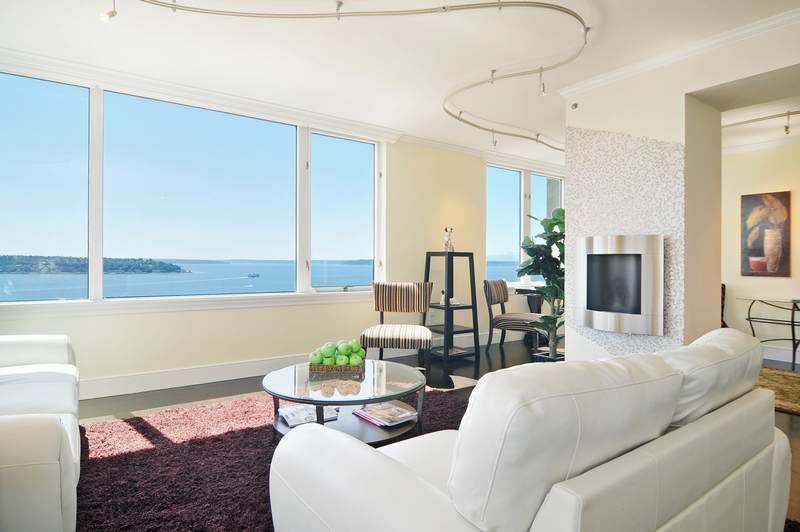 Custom Lutron lighting keeps the interior bright and light even after the magical sunsets. 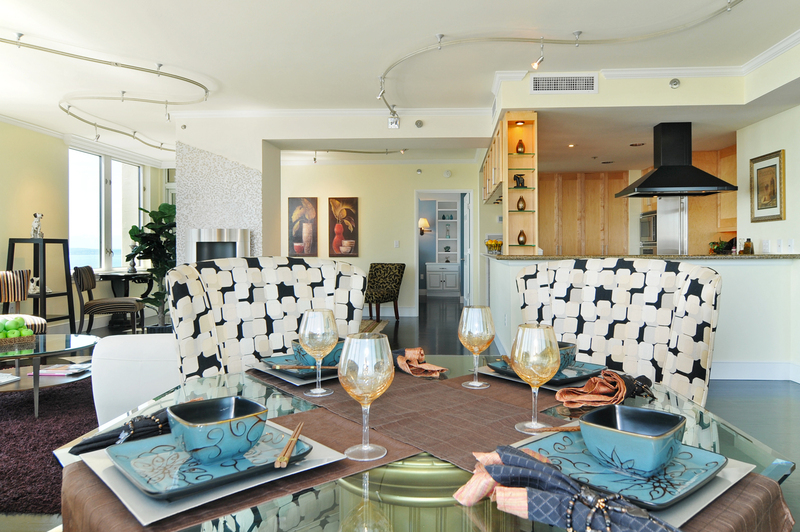 With a separate dining room, dinner parties will be a breeze. 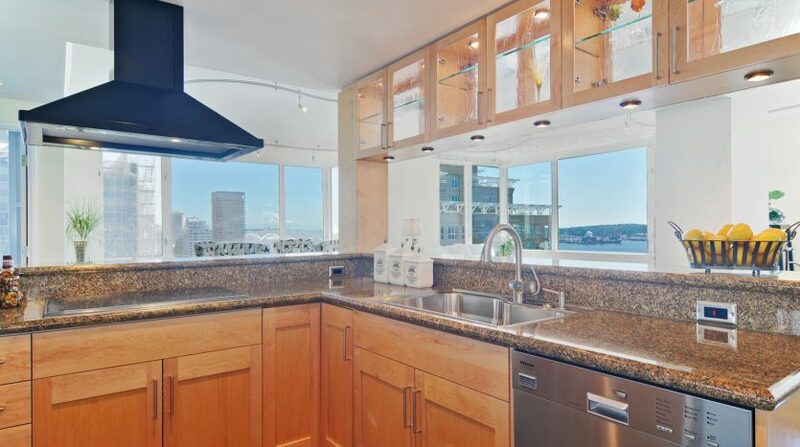 The fully upgraded chef’s kitchen will leave nothing to desire. 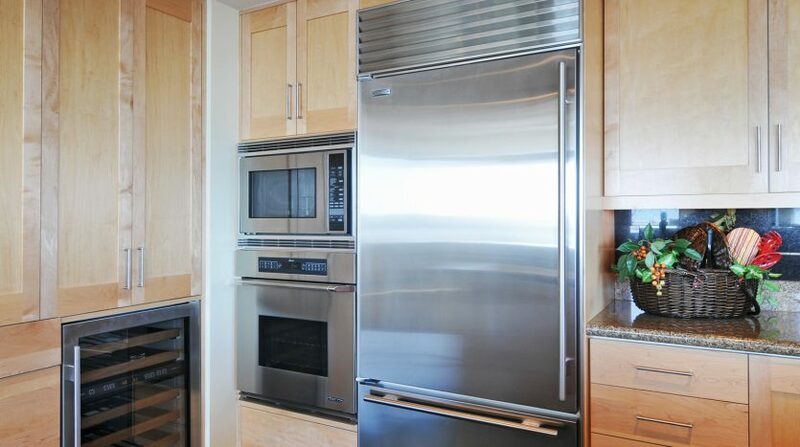 All high-end appliances including Sub-Zero, Wolf, Miele, and Dacor, the chef in you will be delighted. 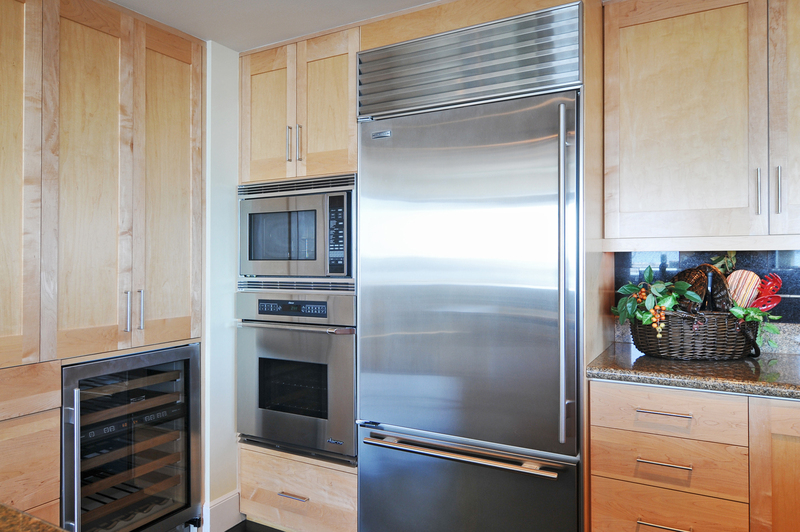 For the wine lover, a dual climate wine refrigerator is the perfect touch. 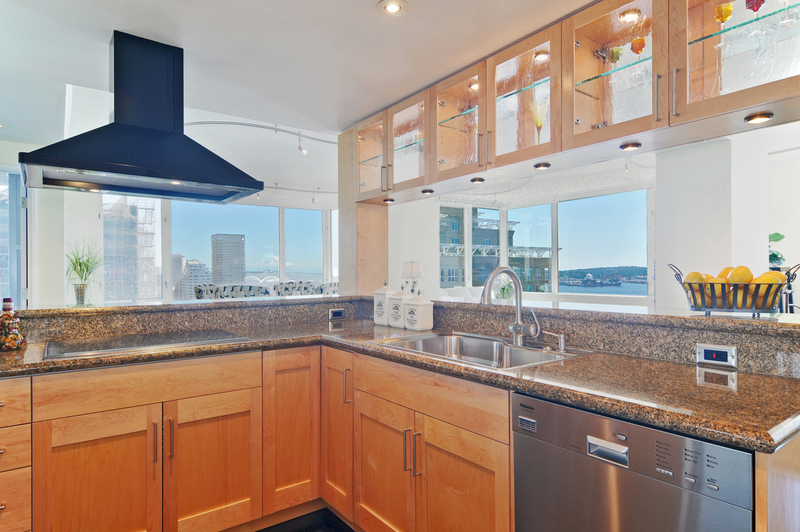 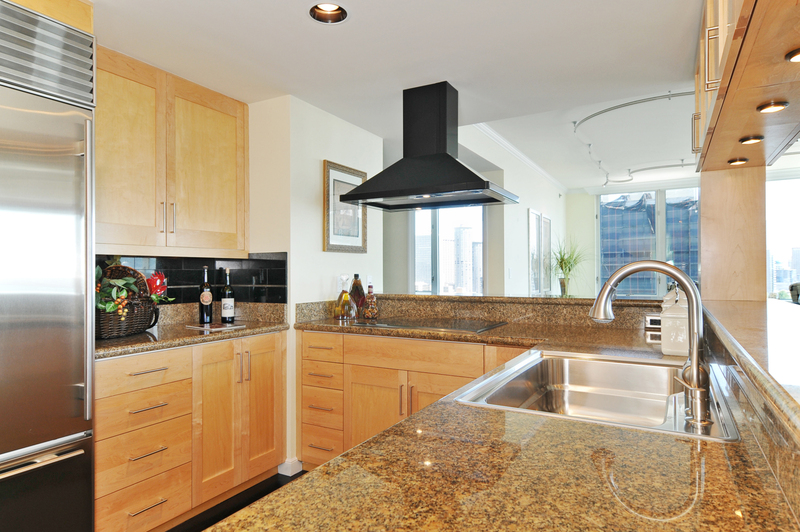 Slab granite countertops and under-cabinet lighting top off this kitchen with a view. 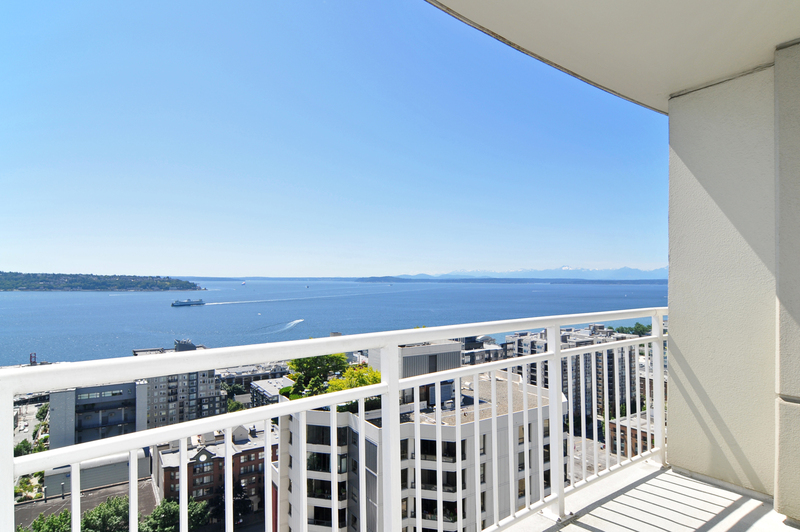 With a large stunning deck off of the living space, you will have the ability to enjoy your views with a fresh breeze on your face. 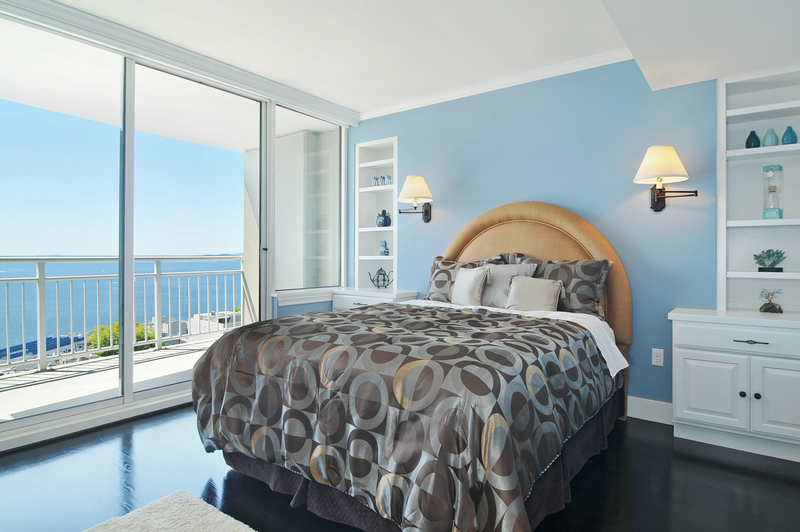 The private master suite is enveloped in the same fantastic views as the rest of the spaces. 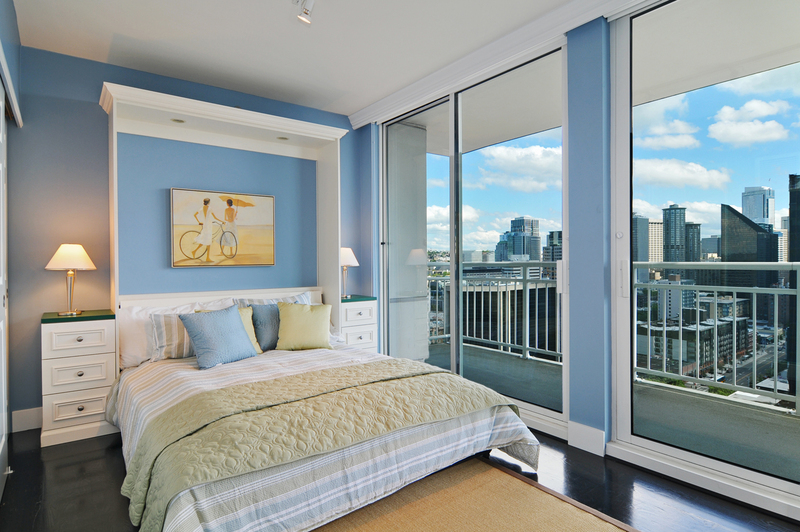 You will soon wake up to the beauty of the Sound. 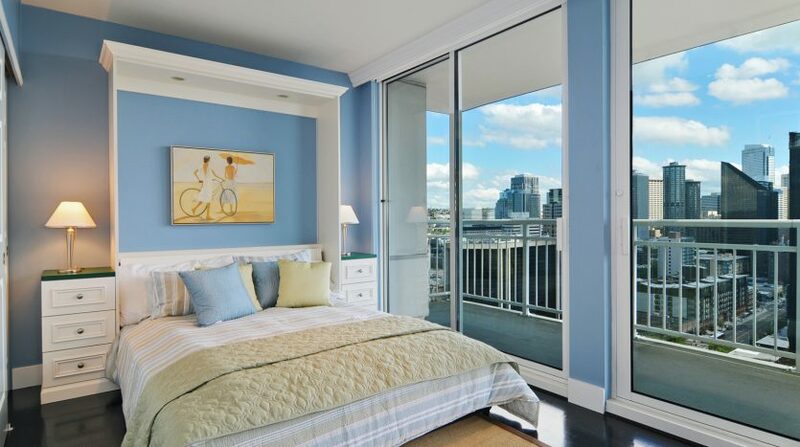 Built-ins and custom lighting flank the king-sized bed area. 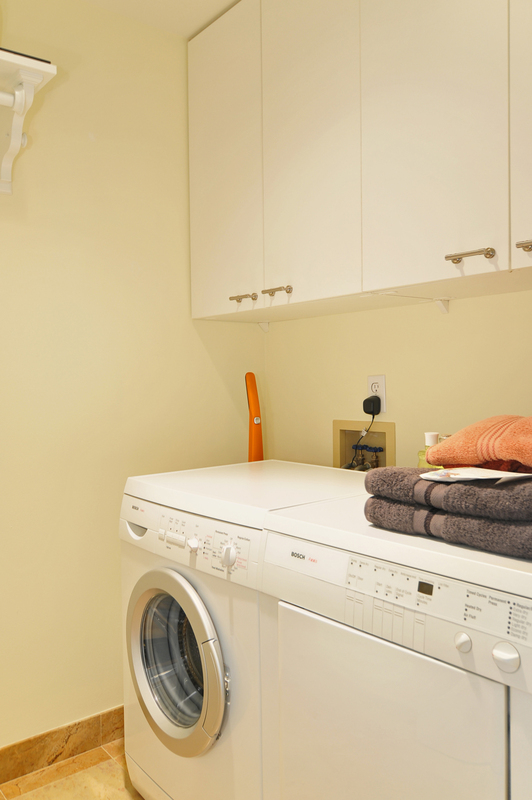 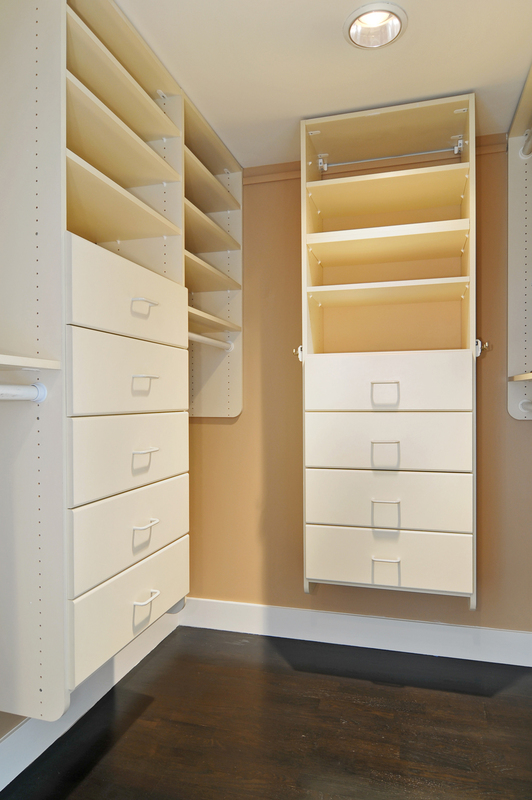 A walk-in closet, with custom closet organization system, is ready to hide your clothes away. 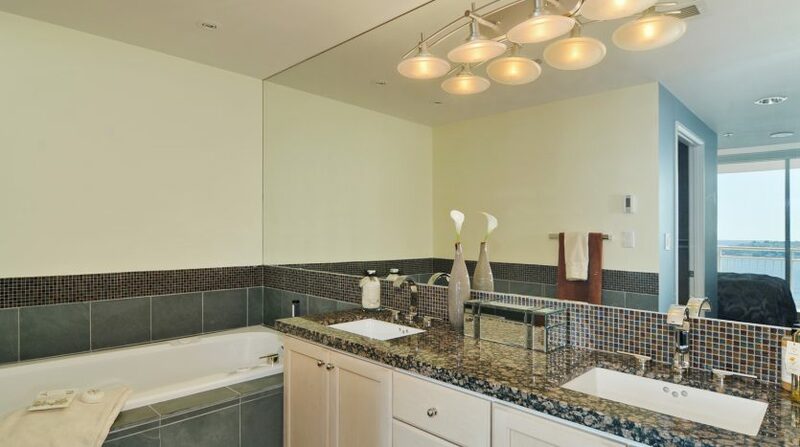 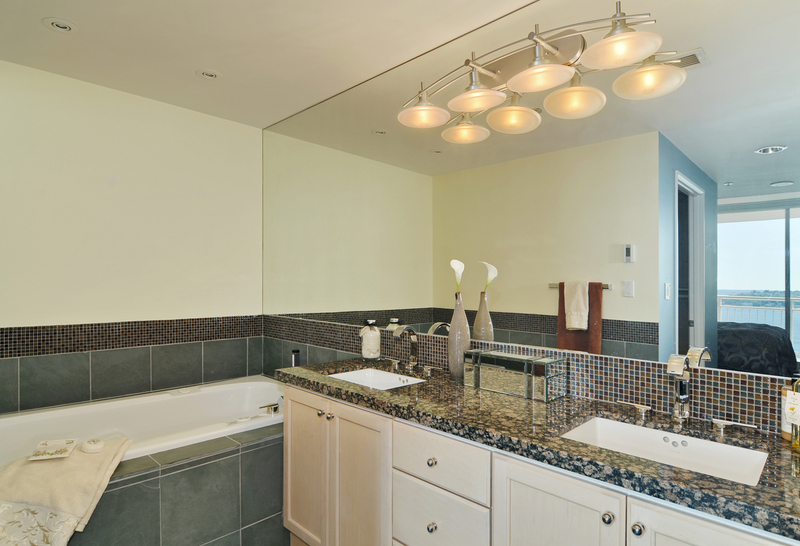 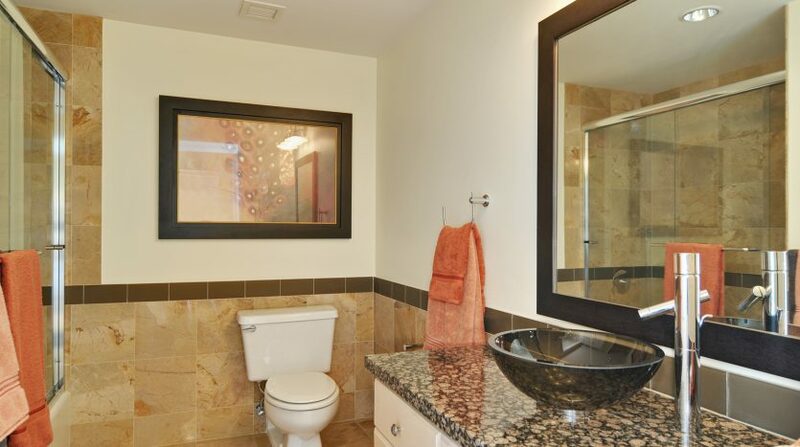 The 5-piece master bathroom boasts a jetted soaking tub, slab granite, and even the shower has a view of the Sound. 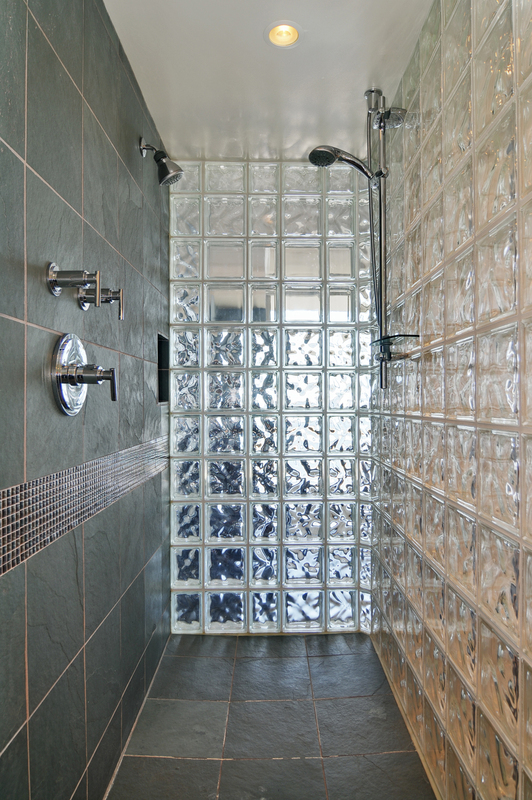 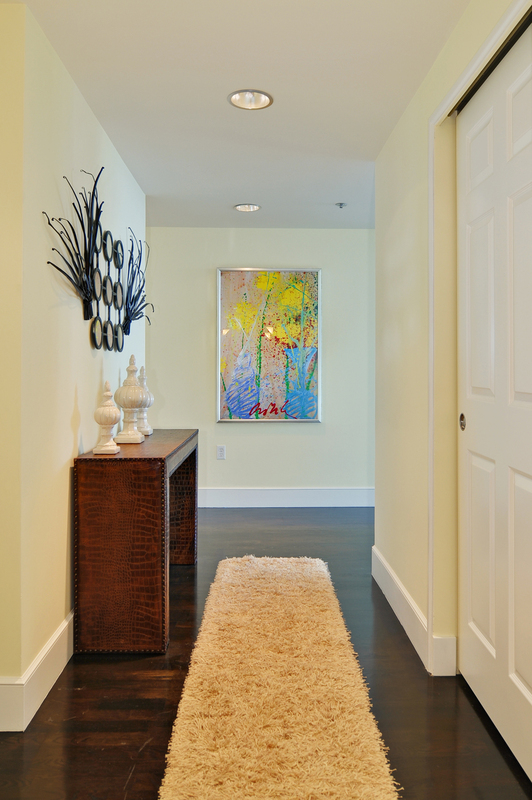 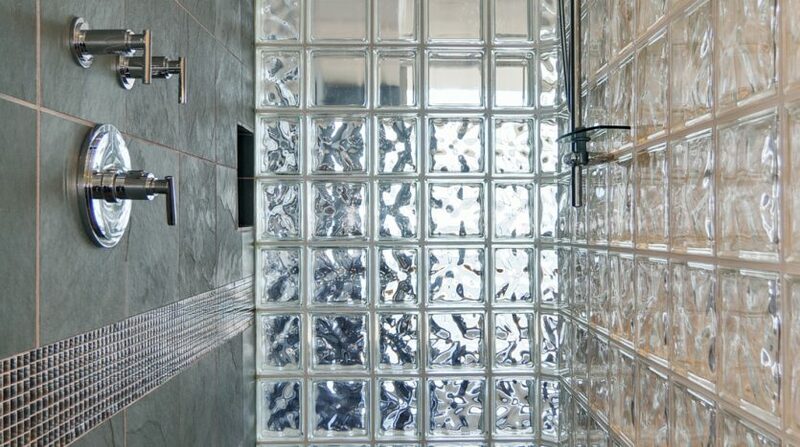 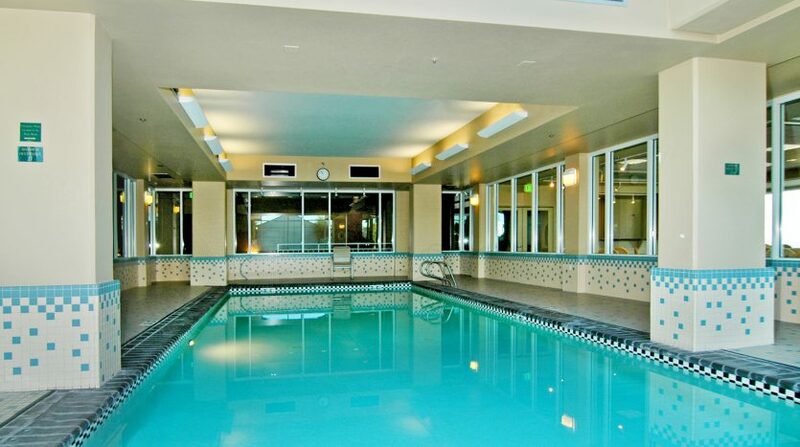 When living in Seattle Heights, you will have access to one of the best amenities packages in the city. 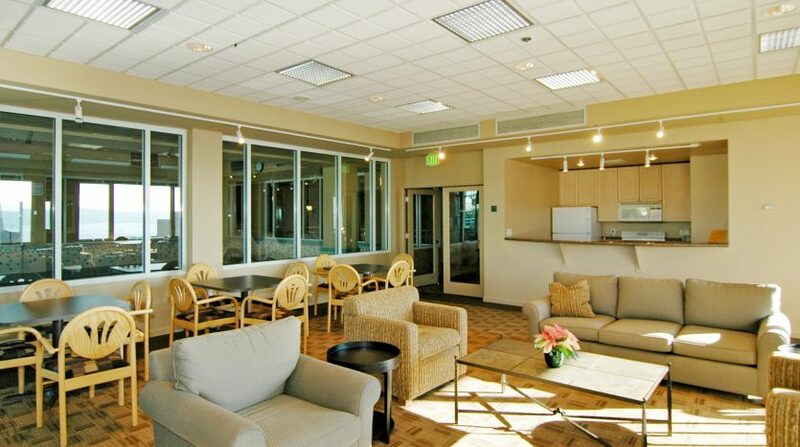 The 24 hour Concierge is there to collect packages, answer questions, greet your guests and more. 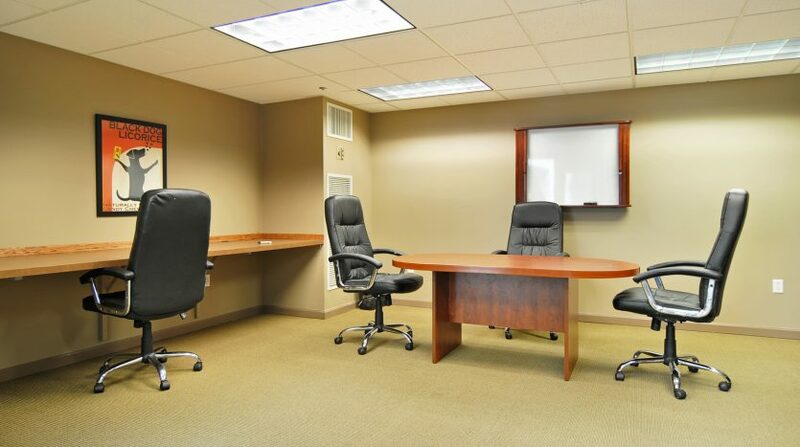 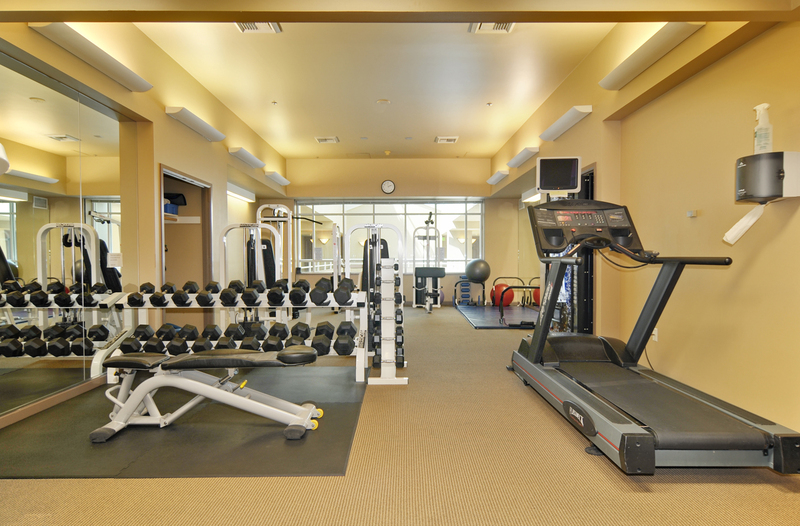 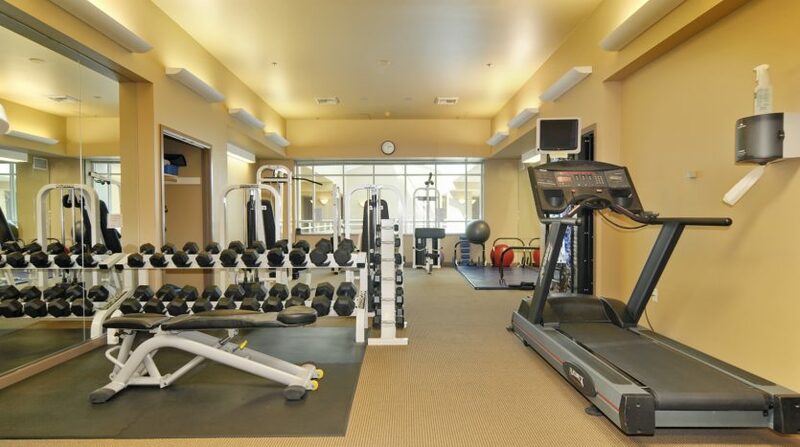 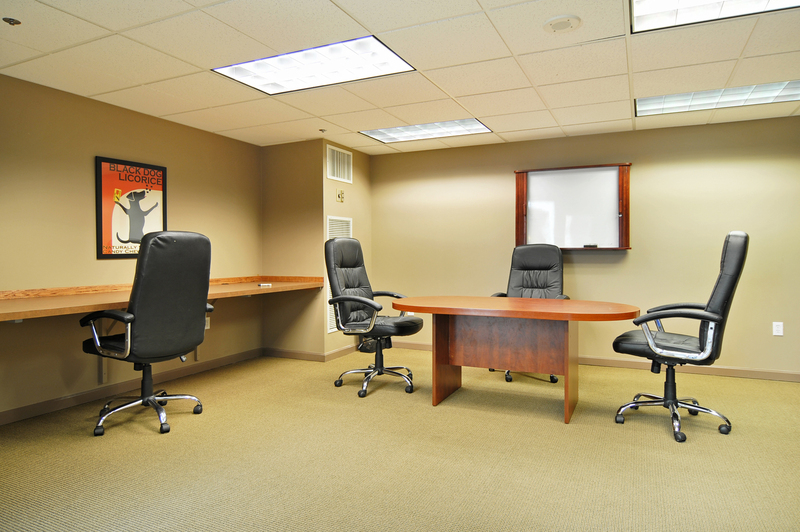 A full fitness center and a business center add to the convenience of high rise living. 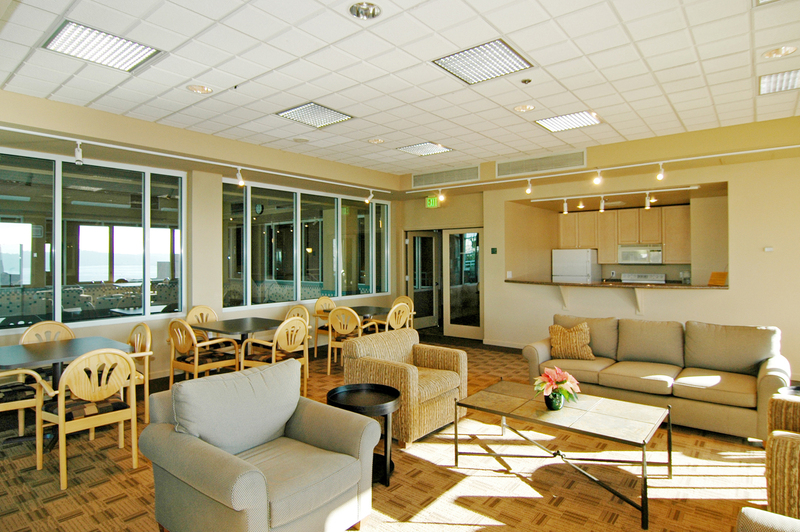 The party room with large outdoor terrace is the perfect location for your larger gatherings. 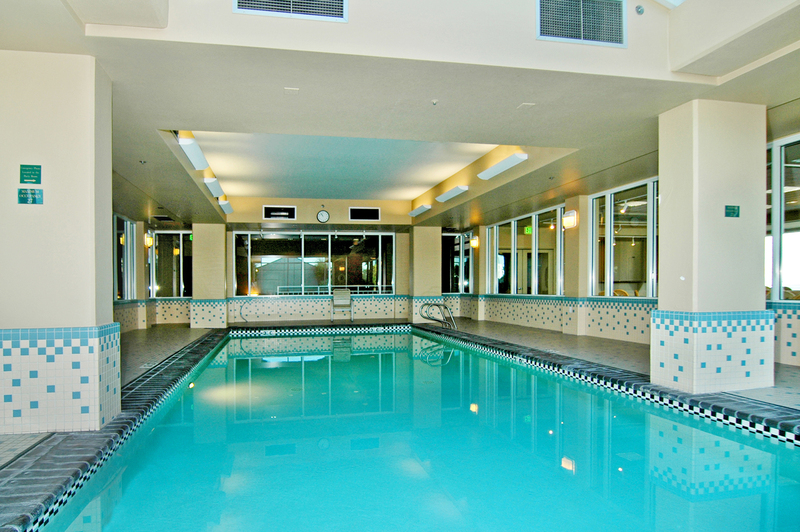 And the pool, hot tub, and saunas are great for an after work dip or some relaxation. 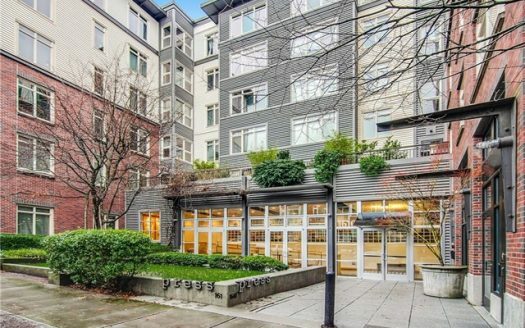 You also get the added security of a strong Home Owner Association holding over $1.5 million in reserves, a leg up on the new buildings in town. 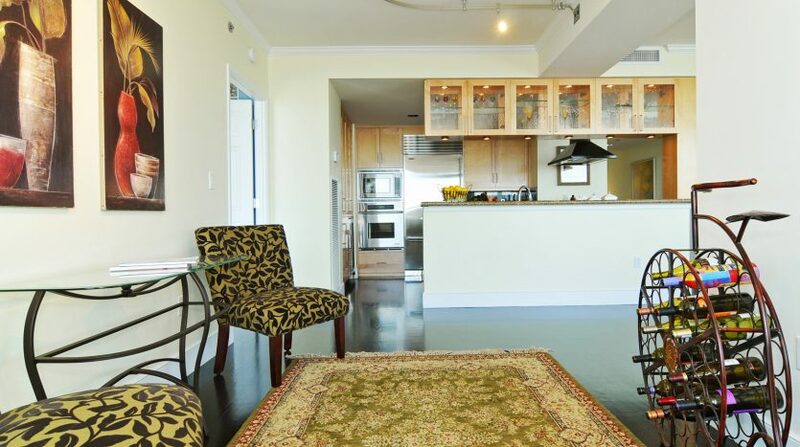 To top it off, this home comes with 3 deeded parking spaces and a large storage unit. 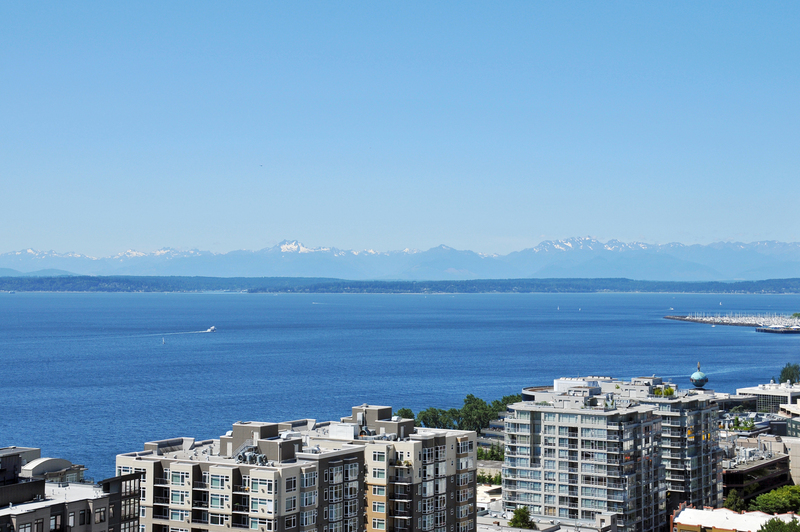 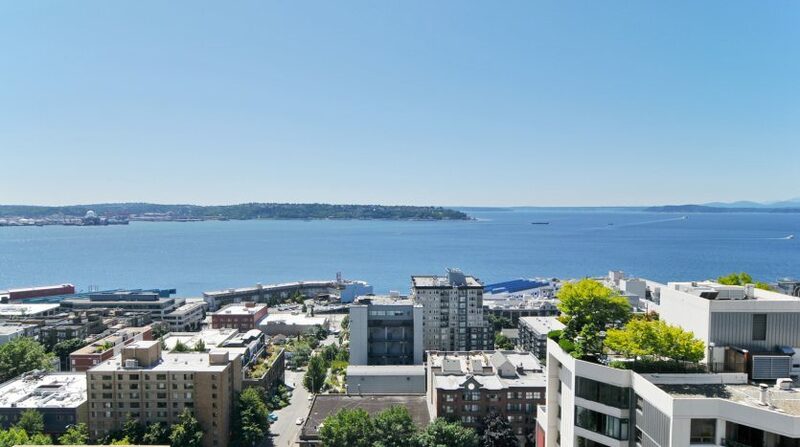 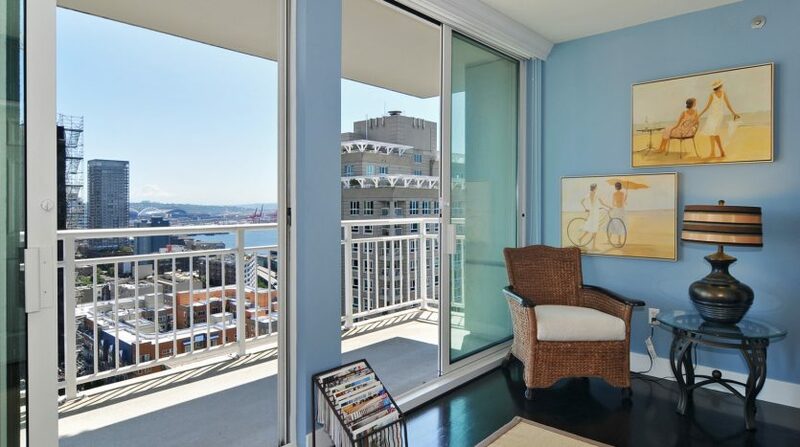 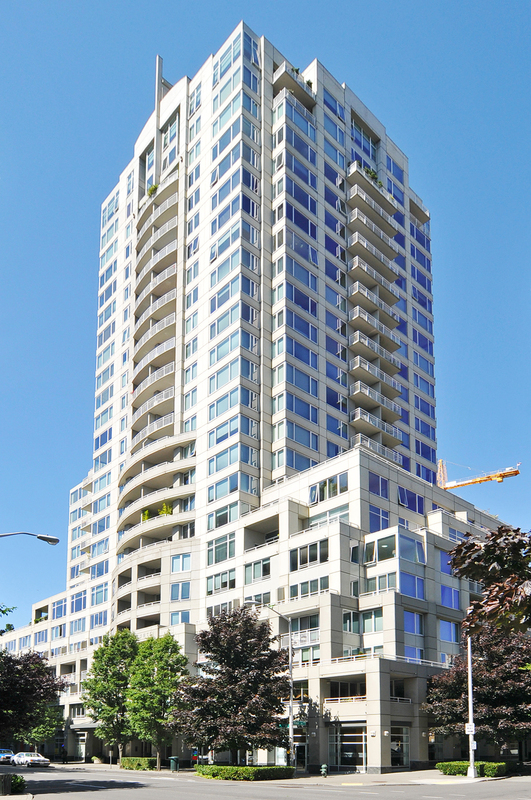 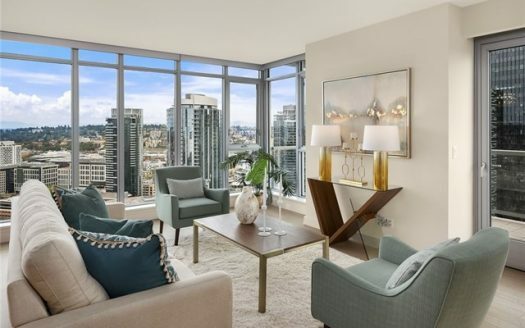 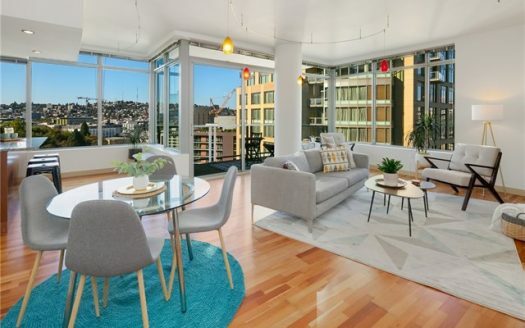 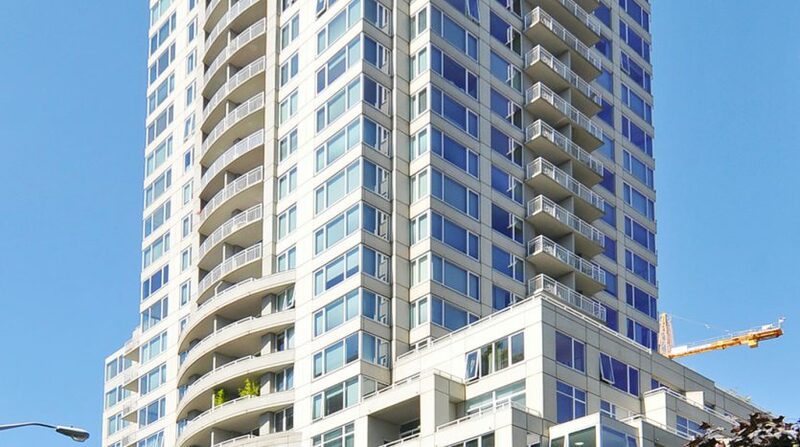 If you are looking for unbeatable and expansive views from every room, fabulous amenities, and fully upgraded high end spaces, Seattle Heights #2302 is the place to call home. 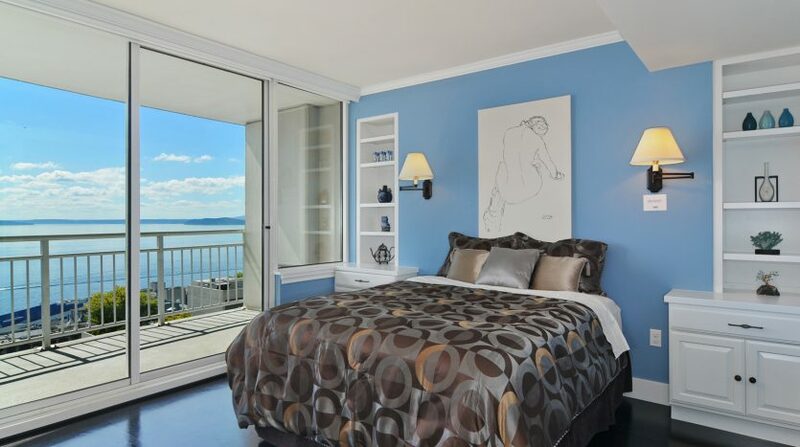 Master suite: sweeping Sound views, built-ins, walk-in closet with organizer system, 5 piece spa bath, jetted tub, heated floors and a shower with a view!